It’s difficult not to spot a pair of Beats headphones nowadays. Around campus or work, on the necks of famous DJ personalities and even coupled with some smartphones, Beats by Dre is the brand in the headphone market, and it just keeps growing. To the average music listener this translates into the perception of Beats being a respectable brand in terms of music quality. The audiophiles, however, will say otherwise. Beats Headphones are notorious for burying music under unnecessary amounts of thudding bass, making the brand’s tagline almost irrelevant. Users who stick solely to bass heavy tunes are likely not to flinch, but it’s extremely easy to notice the shortcomings as soon as you listen to a familiar rock anthem, or a instrumental heavy soundtrack. 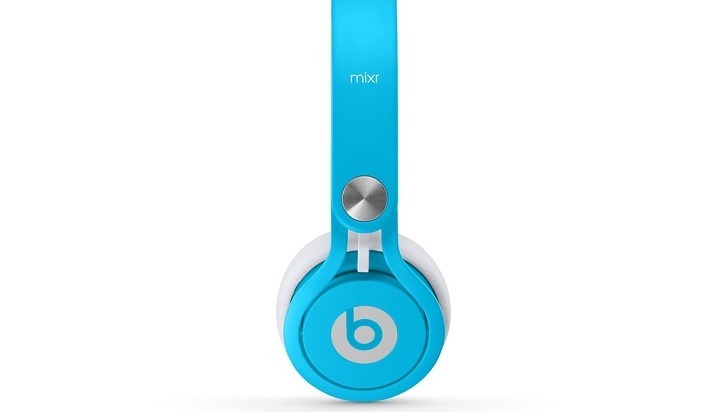 Beats are more of a style statement than a serious audio experience, and the new Beats Mixr is no exception. At a price range that extends well over 2 grand, you’re probably expecting a complete package. Style, durability and performance are key in this market, and the Mixr manages to give each a good shot. The Mixr falls somewhere in-between the Beats Solo’s and the Beats Pro’s. Their slightly larger, on-ear cans aim to compete in a bit of a different market. There’s a muddy middle ground between the serious, over-ear, noise cancelling headphones and the cheaper, on-ear experience, and this is usually where your more experienced music listeners fall. 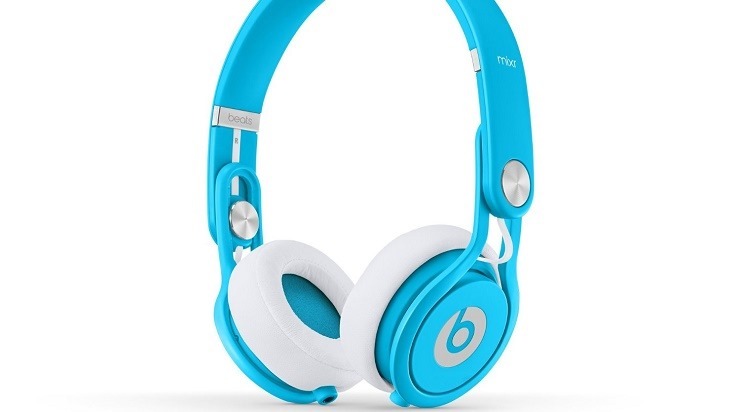 The headphones are definitely as stylish as any other product in the Beats range. The light blue pair that I got my hands on is easy on the eyes, with the familiar white logo stamped on each ear cup. The leather cups are also dipped in white, inviting you to just get them dirty after a few weeks of use. The small size allows them to look good on your head and around your neck, without looking like you’re trying to be the next Avicii. It’s a pity the build quality isn’t as pleasing. The headphones are made from a strong plastic that feels durable enough to withstand some soft twists and turns, but it’s easy to imagine them snapping under moderate pressure. The cups themselves feel luxurious, but the sliders that allow you to adjust the size of the headset are cheap and flimsy. The grooves that hold the cups in place look like they could be worn down in a matter of weeks, which isn’t good news for people like me who can’t wear the headset at full stretch. The Beats Mixr comes with a nice hard shell to carry your headphones in, which is a nice addition considering how portable they are. 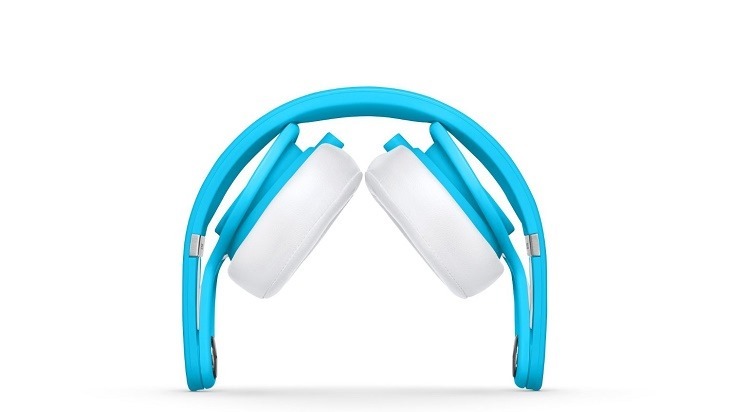 The two ear cups fold up into the headband, allowing you to store them in the rather small case. There’s also a pouch for the two different auxiliary cables that come with the headset. One is the traditional cable with an in-line microphone for smartphones, while the other features a twisted end for less cable mess. There’s also a jack adapter for those hoping to hook these up to an amplifier. Having the actual wiring separate from the headphone is great, since a broken cable doesn’t mean your headphones are doomed. I’ve already briefly mentioned the nasty habit Beats headphones have of overdoing it in the bass department. The Mixr is no different, although it does produce some quality sound when listening to the right music. Hitting play on some Skrillex, The Prodigy or even old school Eminem proves that these are cans for bass lovers. I tried to listen to the Transistor soundtrack, which sounds incredible on my Harman Kardon Classics, and the quality was not the same. The same happened when I tried out some Foo Fighters. The bass is there, but it drowns out nearly everything else in the song, even when using media applications that changed the equaliser to suit the Mixr’s. Trying the headphones out with some more traditional testing methods yielded similar results. The frequency response of the Mixr fell a little below average, with a range of 20Hz – 17kHz. The dynamic range, however, was particularly surprising, coming in at 74 DBFS (decibels below full scale). The headphones do have significant static noise when not being used, but thankfully the headphones cut out after a few seconds and become silent until audio is driven through again. The microphone that comes standard is decent enough for phone calls and some online chatter on the go, but it picks up for too much ambient noise to be considered a permanent solution. The headphones also leak a lot of audio at high volume, which is common for the on-ear style. While not ideal for those who love their music loud in relatively quiet public places, it’s not terrible. Beats by Dre are known more for their fashion statement rather than sound quality, and the Mixr doesn’t change the status quo. It’s an attractive headset, but the cheap build quality and sub-par audio make them a rather expensive accessory. Coming in at around R2199, there are better audio options out there, and at this price range that’s most certainly something that should take top priority. Previous article Is paying YouTubers for coverage ethical?